Freelancing has changed so many lives and it’s no wonder why people are starting to entertain the idea of going freelance rather than staying in their corporate jobs. The stress one has to go through like traffic and long working hours has certainly made freelancing a viable option. In the case of Jane O., juggling a corporate job and motherhood was too much to handle. Jane never wavered and after a few bumps on the road, she is now having the time of her life as one of FreeeUp CEO Nathan Hirsch’s assistants. I had a chance to talk to Jane recently and she candidly shared her inspiring story about how she went from a stressed-out corporate employee to a happy and fulfilled freelancer and full-time mother to her son. My freelancing career started in 2012. Back then, some of my office mates were part-time freelancers too. They worked 8 to 9 hours in the corporate world but also offered their services on Upwork during their spare time. Out of curiosity, I tried setting up an account and applied for a couple of data entry jobs. I was able to land two project-based clients but didn’t attempt to apply for more after that. My focus was on my full-time job. I was a Business Analyst for an automotive parts ecommerce industry business so my plate was full. In 2013, I gave birth to a bouncing baby boy via cesarean section. It was one of the best things that happened to me but my happiness was short-lived because I had problems getting someone to watch over my kid. I was in a tight spot because I couldn’t work full time with no one to take care of my new newborn child. Good news came out of nowhere when a former colleague offered me a full-time freelance job with a direct client. My prayers were answered because I could take care of my son while working from home. I resigned from my full time job and immediately grabbed the opportunity. Unfortunately, it didn’t work out because I was still suffering from post-partum depression at that time. The schedule just didn’t fit and I was not comfortable with the setup so it only lasted for 6 months. I was then hired by an Australian client on Upwork, doing lead generation tasks for three months. My partner and I also started doing side gigs to supplement our income. We used to sell home-made desserts, herbal drinks and more to make ends meet. At that time, I really wanted to return to the corporate world because our income was not enough to sustain our way of living. Lucky for me, my previous company (the one I spent six years with) rehired me as their Business Analyst once again. Things weren’t easy because I spent more than two hours getting to and from the office. Traffic is terrible. My baby was also always sick and we did not have a permanent nanny to look after him when I was at work. It was a very challenging two years back in the corporate world because our salaries were still not enough to support our finances. I tried selling desserts and foods once again like graham balls, cookies, sandwiches, leche flan (milk custard), puto (steamed rice cake), turon (banana fritters), relyenong bangus (stuffed fish) and more. Thankfully, I had a set of very supportive colleagues who made sure that all my products were sold out before I left the office every day. To this day, I still can’t imagine how I was able to bring 50 pieces of turon, 10 to 12 pieces of leche flan and 8 pieces of relyenong bangus each and every day while commuting. Riding a tricycle, a jeepney, a bus and a train to get to work was no easy task especially when you have to carry a couple of heavy bags inside crowded public transport. I prayed hard every night and kept asking myself what else I could do to turn things around. I was at a point where I was getting tired of doing the same thing every day. Long story short, I resigned once again but this time, I didn’t have any fallback. I took the risk of not having a secure job. I must admit that I was afraid but I needed to do it because I realized that great things can only be achieved by taking risks and leaving your comfort zone. Jane loving work as a freelancer. A good friend of mine, David Dominguez, introduced me to FreeeUp. 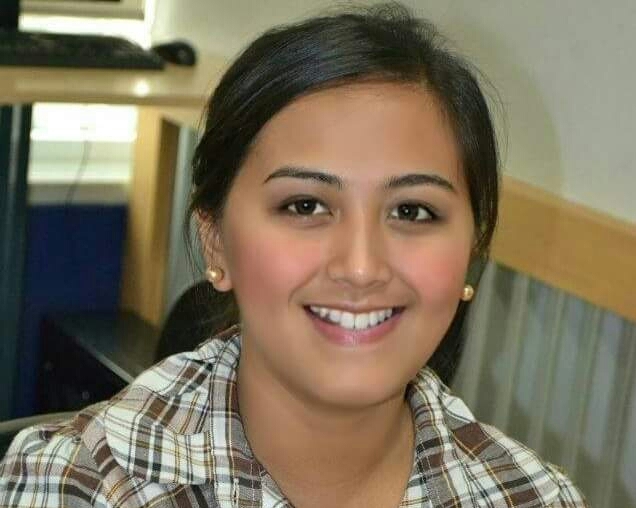 Initially, I was really puzzled why he chose me but I didn’t hesitate and took the chance of being introduced to the FreeeUp recruitment manager, Chiqui. I went through three rounds of interviews, and thankfully, everything went well. I made it and I promised David that I would do my best. The rest is history! David had been opening his freelance business to me for years, and he had been working for Nathan even before FreeeUp started. I had never heard of FreeeUp outside, but I heard great things about it from David. I was hired on June 3, 2016, and I was really happy to be part of the network. I saw several missed calls and messages from David and Chiqui two days after. What really surprised me was seeing Nathan, FreeeUp’s CEO, reaching out to me on Skype. It turns out that Nathan was looking for a new virtual assistant to help him that night (morning Eastern time zone) so he interviewed me ASAP and I immediately accepted his offer for me to become one of the assistants. God is really good and not once did He fail me. He answered all my prayers and I really thanked Him so much for the good news. Nothing is really impossible with God and everything happens in His time. 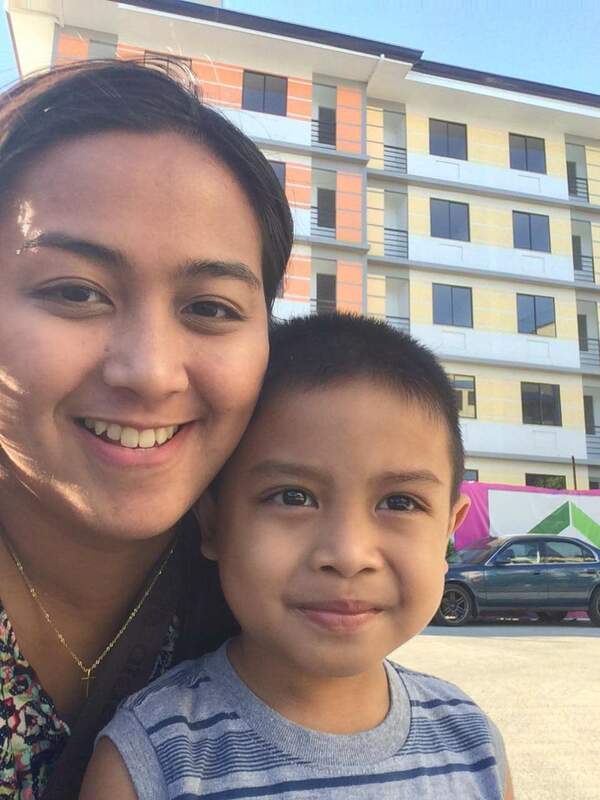 Jane with her son, Andreo, outside their new condo unit. Tell us about your first months working through FreeeUp, and how your career as a freelancer grew. I spent my first month learning from Nathan on a daily basis. Back then there were still no onboarding documents or videos available so everything was done one on one. He introduced me to the other assistants and I immediately scheduled separate sessions with the Social Media Manager, US assistant, Accounting Manager and more. I needed to be familiar with their functions and how they did business so I reached out to them individually. Nathan continued to work with me, showing me how the system works and how to deal with freelancers and clients. The first two weeks were very challenging. My confidence was high, though, and I knew that I could do everything he needed me to do. I also wanted to prove that I had the right skills and attitude to become a FreeeUp assistant. It is my belief that the best way to prove yourself worthy is to be able to overcome challenges and deal with issues on your own. Having the right skills is just an added bonus. Determination, willingness to help others and tenacity are attitudes clients are looking for. It also helped that Nathan was very supportive and patient with me. I was always so happy to begin work that it came to the point where I hardly noticed time ticking away. Having to work at night was a bit of a challenge. I wasn’t used to it but everything turned out fine as the months went by. I worked with other clients too and did a number of tasks for their eBay and eCommerce businesses. Most of them were project-based though. I tried looking for more clients who focused on Statistics projects or business analytics. Unfortunately, freelancer requests were always more about eBay and Amazon. It’s amazing to see how FreeeUp has grown and how bigger opportunities are always coming. 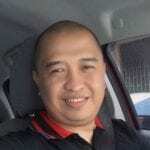 I used to help Chiqui in onboarding new freelancers and solving small and complex issues from freelancers and clients. Handling Nathan’s email and Skype including FreeeUp’s customer care account while he was on vacation was also one of my tasks. I also assisted accounting whenever they needed my help, and so much more. Nathan and I started working with new assistants too who would help support the business and provide better services. Because of that, I decided not to take another client and focus on being a full-time assistant for Nathan. I and the other assistants are now helping Nathan and his business partner and FreeeUp’s CMO, Connor, to focus on planning and building FreeeUp by attending conferences and engagements that will help us get more clients. I never doubted their capabilities and I knew from the very beginning that they would change more lives just like they changed mine. And boy was I right because there are now more than 1000 freelancers in the network hailing from different countries. When I joined FreeeUp, our target was just 500 hours a week but now, we are billing many times that! Apart from being a FreeeUp assistant, I am also now able to enjoy my son’s every milestone. It was tough to have missed a lot of them when I was in the corporate world, but now, I can take care of him 24/7. I cook and prepare his bento and dress him up for school every day. I also have time to prepare meals and do household chores for the rest of my family. What more can I ask for? I can’t put into words how happy I am to be part of the growing FreeeUp community. Doing my freelance business and being an internal assistant (the coolest group I’ve ever had!) is a huge privilege. Working with them will always be an honor that I will treasure! 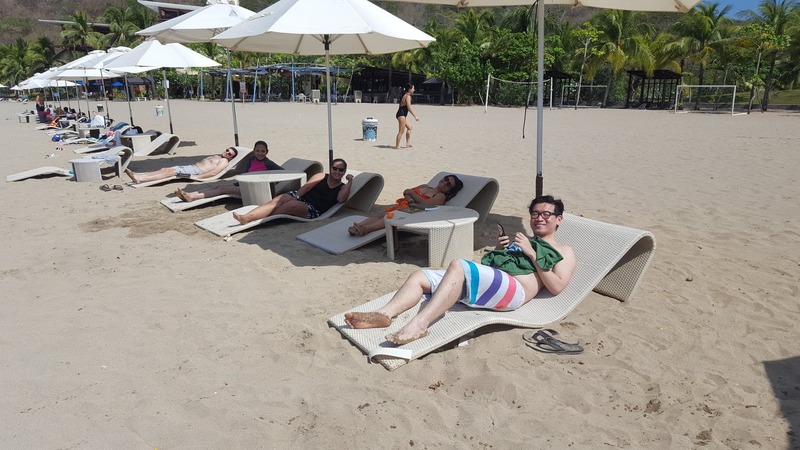 Jane with Connor and FreeeUp assistants Chiqui, Jan and Ansis hangin’ at the Batangas resort beachfront. How is your career as a freelancer doing now? FreeeUp completely changed my life as well as that of my family. Because of FreeeUp, I was able to send my son to a better school and provide him with everything he needed. I can work anywhere I want as long as there’s a stable internet connection and power. I do whatever I want and go to places I have never been. I am also happy to tell you that I just recently acquired a new condo unit. All of these were made possible through hard work, dedication, and of course, with the help of FreeeUp! I can firmly say that all the hardships and challenges I went through were all worth it! I can also honestly say that I am earning more than expected (something I would never earn at a corporate job). The best part of my work is helping people get the projects they want. It’s rewarding when freelancers come back to you to say thank you for helping them or how happy they are for landing the client they asked for. I’m positive that the rest of the assistants share the same goal, too – to help change people’s lives. Do you have any advice for other freelancers who want to grow their careers? My best advice is to not to go into freelancing if your only reason for doing so is to earn more. You need to establish your purpose and why you are doing this business right from the get-go. Apart from their to-do lists, freelancers should have their own mission and vision. Only apply for projects that you are 100% sure you are capable of doing. Make sure that you have the right attitude and always give your 101% in everything you do. Always save time for self-improvement and think out of the box. Ask your clients for feedback and learn from it. Communication is key especially since you will be working with clients from different countries and different time zones. Be wise with your finances and separate your income and savings. Continue to help other people and always aim to give back. Sometimes it takes several failures for us to finally find the success and happiness we’re looking for, but nothing is impossible with hard work and dedication. Jane had to go through one difficulty after another and each and every time, she was always up to the challenge. 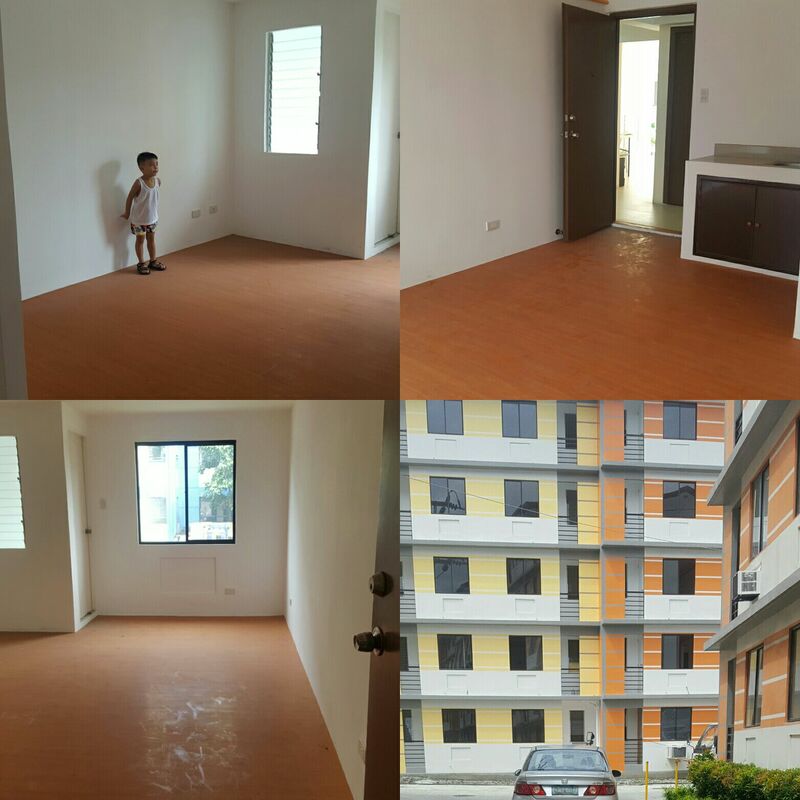 In the end, all her sacrifices paid off because she now enjoys being a mother to her son while earning a living for her family and yes, she was able to secure her first condo unit too. All she did was to never give up. Are you frustrated with where you are today? Is corporate life keeping you from doing the things that matter to you? Is freelancing something you’re considering somewhere down the road? If the answer is yes, then act now. Start by assessing the skills and abilities that make you stand out. List them down and do your research. What can you contribute to businesses and individuals? Is online work something you’re willing to do? Do you need more experience? Succeeding at freelancing is no easy feat but if you’re really determined to turn things around, you need to start improving your skills and gaining more experience online. If you loved what you just read, please help us spread the message by liking and sharing on social media. Four Necessary Skills Young and Ambitious Managers Have to Master TodayWhen is the Right Time to Start Working with Amazon FBA Service Providers?